Description: This project involved the restoration and repair of the exterior of the buildings, and the interior of the sanctuary. Structural repair of concrete columns was accomplished using an epoxy injection process. Decorative facades of cast stone, which were deteriorating due to water infiltration and pollution exposure, were restored and sealed to prevent further damage. Areas of stucco damage were identified and repaired, and the entire exterior was painted. 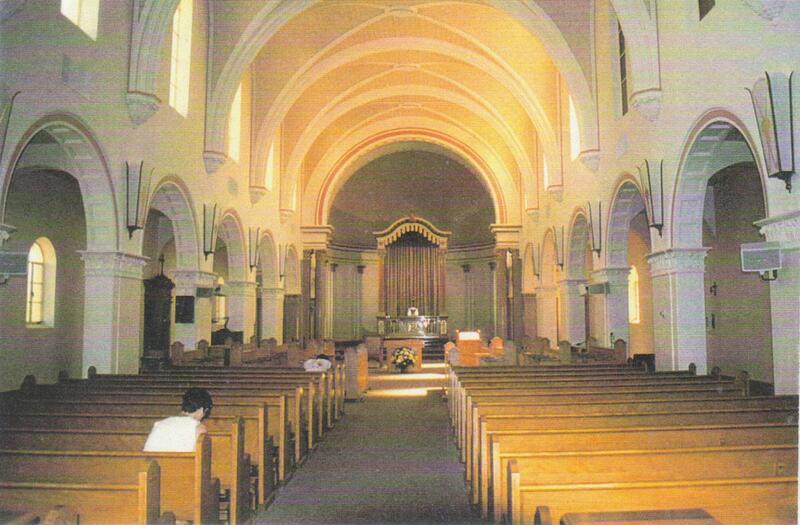 The sanctuary was restored, with candle soot removed from wall and window surfaces, lighting and sound systems upgraded, and the interior repainted using a new, brighter color scheme. Studies were done to shift worshipers’ focus from the old high altar to the new central altar area.